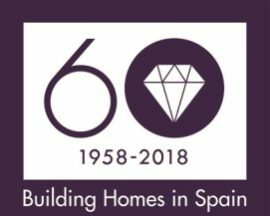 10 years ago, Taylor Wimpey España (then Taylor Woodrow) was focused on providing high-quality holiday homes in key Spanish hotspots, just as it is today. However, the modern company is considerably larger than its younger self. 2008 saw a total of 120 reservations, while 2018 saw 341 – an increase of 184%. At the same time, the company has gone from serving 20 different nationalities to serving 37 – a rise of 85%. The staff team has grown from 64 employees to 86.